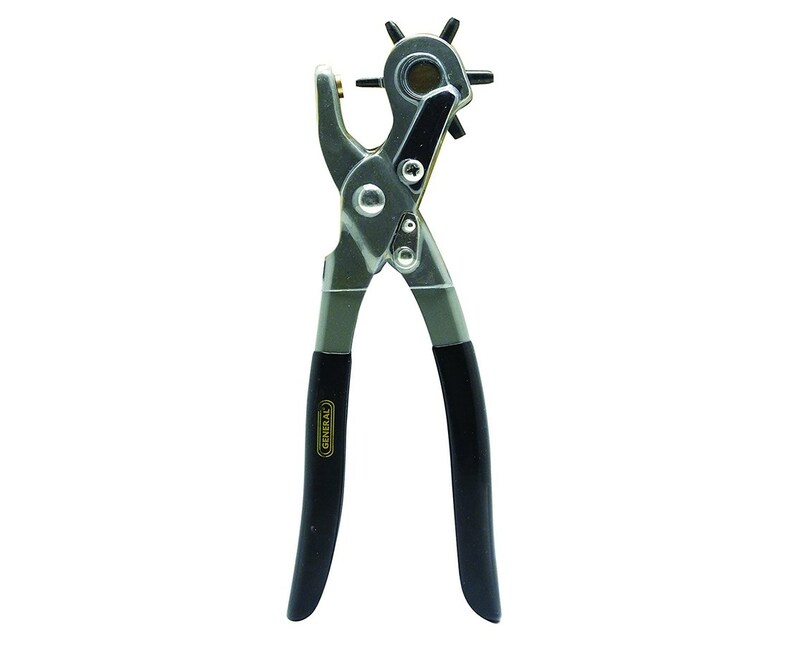 The General Revolving Punch Pliers is a functional and versatile hand tool ideal for a variety of applications. 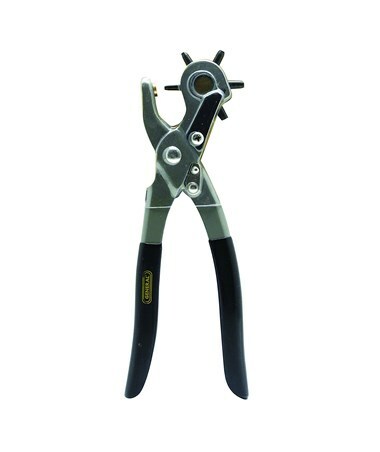 It is used to punch round holes in leather, plastic, rubber, canvass, cardboard, and other materials. Equipped with six tapered and hollow punches that are made of hardened steel, it allows a wide range of hole diameters including 5/64 inch, 3/32 inch, 7/64 inch, 1/8 inch, 5/32 inch, and 3/16 inch. 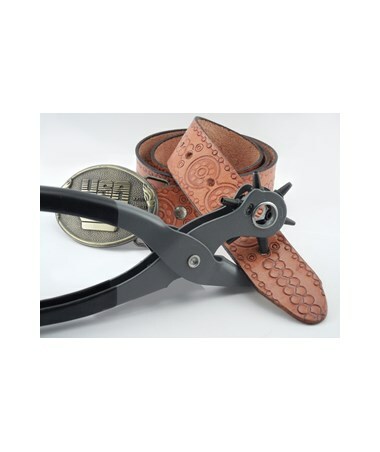 Equipped with a spring-tension mechanism, the General Revolving Punch Pliers is self-opening for convenience and ease of use. It measures 8 ½ inches in length and features a plated-steel body construction that provides durability for long-lasting and excellent performance. It comes in a blister card.